Former Wham! singer Michael was found dead aged 53 at his home in Goring-on-Thames in Oxfordshire on Christmas Day 2016. A coroner later said that he died of natural causes from dilated cardiomyopathy with myocarditis and a fatty liver. The singer suffered health scares and fought drug addiction for years prior to his death. His former partner, American art dealer Kenny Goss, said in an interview before the coroner’s report was released that he thought the late popstar’s body “just gave up”. Sir Elton, who performed the 1991 US and UK number one single Don’t Let The Sun Go Down On Me with Michael, said that he tried to intervene in order to support his friend through his drugs battle – but found he was resistant. He told Channel 4 News: “I tried to put my arms around him [Michael]. I tried to help, but you can’t help people who don’t want to help themselves. “I’ve learnt that as an addict and I’m 28 years clean and sober. When people told me when I was using that I was doing the wrong thing I was so angry and I just told them to go away or I actually used stronger language than that. 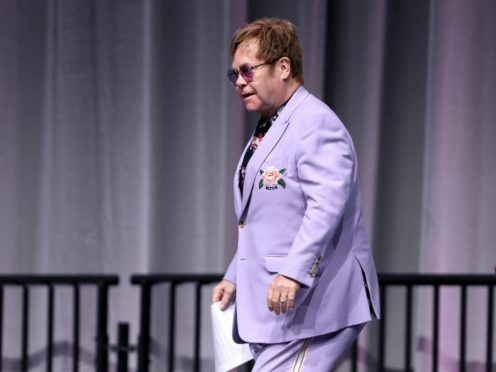 Speaking about his own struggles with drugs, Sir Elton added: “Addiction is a horrible thing. And two or three of our friends are mired in addiction at the moment and I’ve learned there’s nothing you can do ’til you actually say ‘okay I’m going to do something about it, I need help’. “Took me 16 years to say it. I know I’m intelligent. I know I have a problem and I can go for six months without it, but it always got worse when I started back on it. “And at the end of the day, addiction is a very serious problem and it needs to be addressed by yourself and you need help from people.